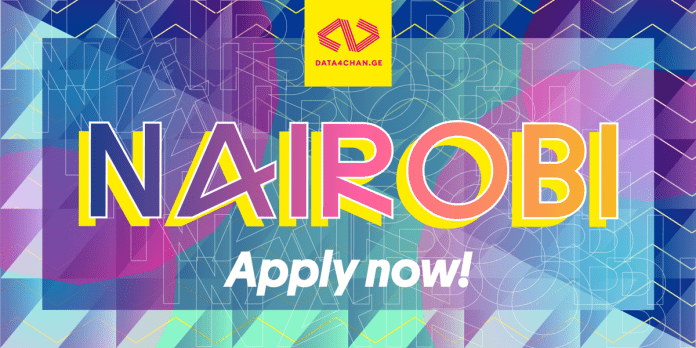 Applications are open for the Data4Change Nairobi Program for Civil Society Organisations 2019 DATA4CHANGE is a London-based non-profit that links civil society with worldwide creatives, supporting them to inform stories with information and create genuine modification. A DATA4CHANGE flagship occasion is a five-day property workshop with complete immersion into the inner functions of an information visualisation studio. CSOs and NGOs dealing with a few of the world’s most pushing social and political issues are matched with thoroughly picked groups of market specialists covering the disciplines of information analysis, journalism, graphic style, and web advancement. The program will range from May 30– June 3, 2019 in Nairobi Garage, Nairobi, Kenya. At the end of the occasion each group has an evidence of idea or totally rendered model for an information driven advocacy project, and the wealth of countless experience that occurs with investing 5 days together with a varied and distinctively skilled group of people. You will utilize information to inform stories and alter hearts and minds, and you will make long-term memories and life-altering relationships. Open to CSOs dealing with styles connecting to digital rights, web flexibility and/or flexibility of expression online. Each taking part organisation will be matched with a group of market specialists covering the disciplines of information analysis, journalism, graphic style, and web advancement. Your proposition need to cover a minimum of among the list below nations:.